Portrait of Gessner Harrison, no date. 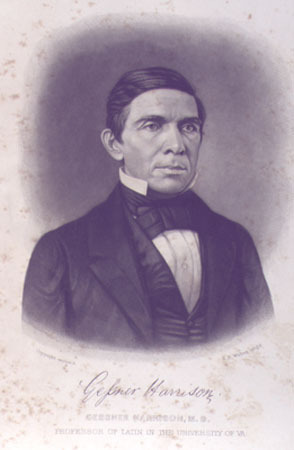 Gessner Harrison was the fifth student to register at the University in the opening session of 1825. At that time he amazed Professor George Long by the knowledge displayed on his entrance examination. Dutiful as well as brilliant, Harrison had promised his father to observe the Sabbath strictly. When Thomas Jefferson invited him to a Sunday dinner for students at Monticello, Harrison politely declined. Upon learning the reason, Jefferson commended such filial piety and extended the invitation for another day. Three years later Harrison graduated in Greek and medicine. Long, who wished to return to England, recommended Harrison as his successor pointing out that the Visitors should "not find it necessary to apply to England for that which they already possess." They agreed, and the twenty-two year old was elected Professor of Ancient Languages. 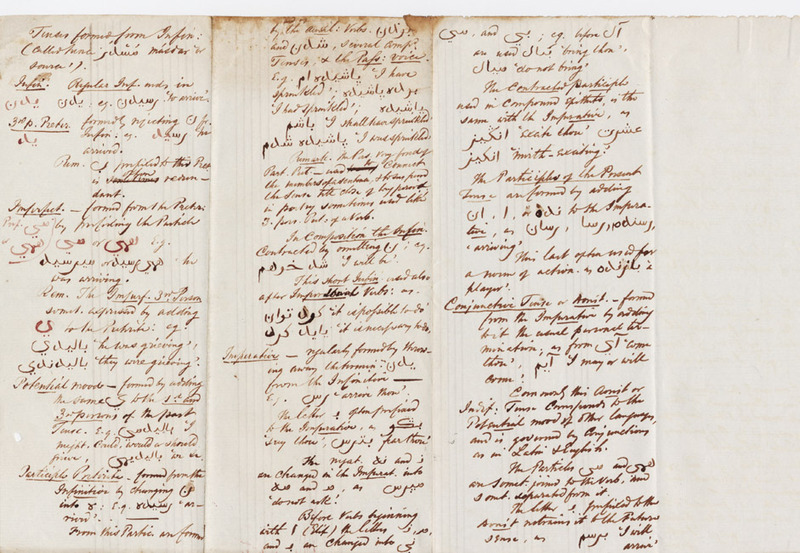 Gessner Harrison's autograph notes on Possart’s Grammatik, a Persian grammar. No date. Harrison remained on the faculty until 1859. In a life devoted to education he taught classical languages for over thirty years, served as chairman of the faculty five times, achieved a high reputation as a classical scholar throughout the South, and in addition, conducted a Sunday school for local slaves. When he resigned to found his own classical preparatory academy, the faculty formally resolved that "he had done more than any other man for the cause of education and sound learning in his native state." The students presented him with a silver pitcher still used at Library events.